I’m sure you’re still enjoying your summer holidays, chilling at the beach and tanning in the sun – don’t stop 😉 But don’t forget about the future guys. I mean the shops are a pretty good help with reminding us of the following season by presenting us coats and boots. 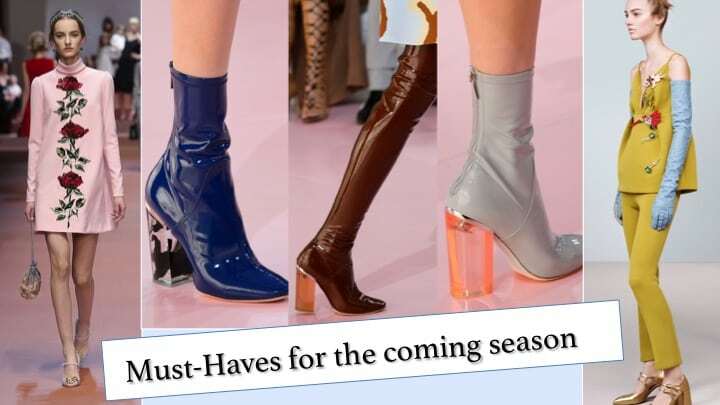 Well, I don’t think you should already change your whole wardrobe into fall-ready-clothes buut at least be prepared. Maybe buy one coat or a pretty dress with long sleeves which you also could wear now at chilly summer nights. After the designers showed their collections, the trends for this autumn / winter are set. And I think there are some must-haves you should know. Have a great day and please enjoy your summer even though the stores start setting up fall vibes! Posted in Inspiration and tagged Chanel, Chloé, Coats, Dior, Dolce & Gabbana, Dresses, Fall Winter 2015, Fashion, Inspiration, Lacoste, Lifestyle, Mugler, Prada, Shoes, Style, Tips, Tod's. Bookmark the permalink.